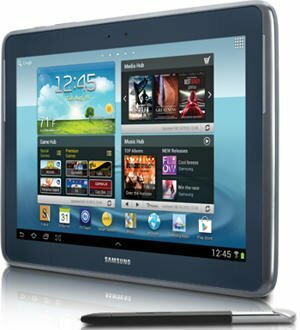 With battery life almost equal to the iPad, and a memory-card slot not found on Apple’s iconic tablet, the 10-inch, 16GB Galaxy Note offers capabilities that no other tablet currently offers. We’ll admit the Apple iPhone 5 has a better camera, and new features place it head and shoulders above previous iPhones. Still, our choice for the best smartphone in 2012 is the Galaxy S III . The Android-driven Galaxy has a bigger screen than the iPhone 5 and lots of features you can’t get on Apple ‘s smartphone. The sensor-based tools are great for social networking. Isn’t it time to pack your favorite gadgets in a duffle and head to the islands for a little pampering, rest, and relaxation? 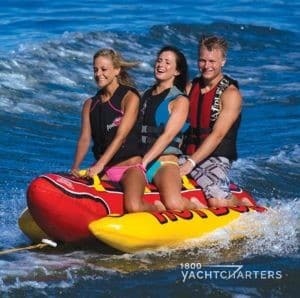 Great deals on sail boat charters are plentiful! 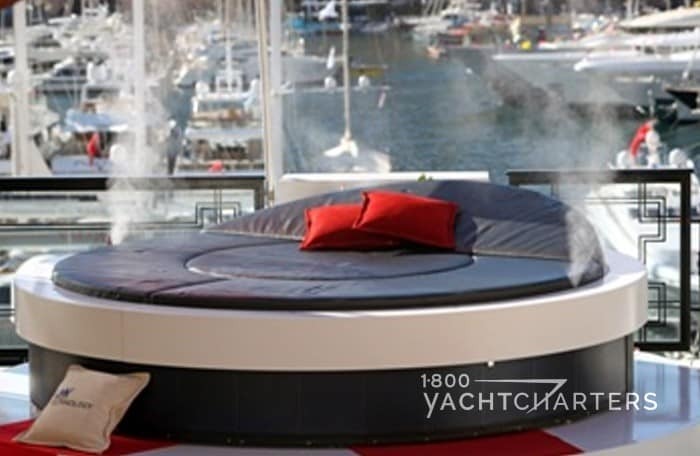 Contact the 1-800 Yacht Charter experts at https://www.1800yachtcharters.com/book-now-contact-us/ for details. There’s no denying it – megayacht owners love their toys and gadgets. If it’s new and trendy in 2011, you’ll find it on a luxury yacht charter vessel – everything from Mercedes Benz-styled helicopters to the latest Crestron touchpad-controlled CD/DVD players, and video game consoles. Deep pockets and a zest for staying ahead of the pack keeps these owners in the hunt for the hottest gadgets on the market. That same quest for the newest gadgets also means the owner’s yachts are the perfect barometer for not only what is new, but also what gadgets are destined to go the way of the dinosaur. At sea, megayacht skippers rely on radar and a whole host of maritime equipment to navigate. But when the yachts arrive in a new port of call, the crews use standalone GPS navigation systems to use for shore excursions. 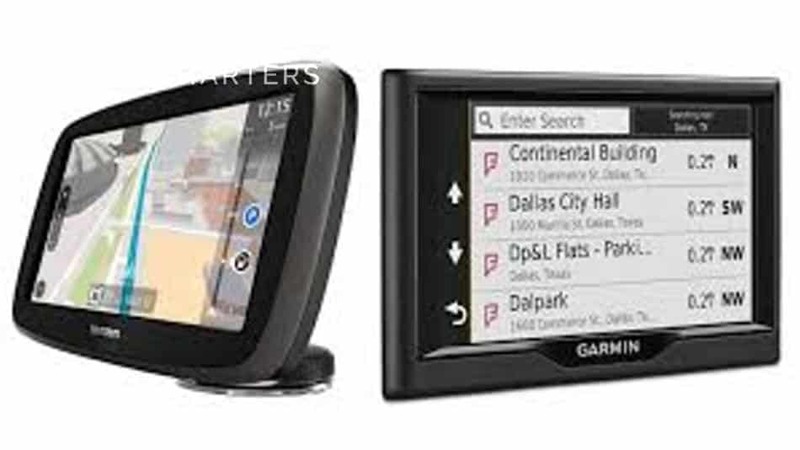 “Fewer yachts are carrying portable navigation devices like those sold by TomTom and Garmin,” says Jana Sheeder, President of SailAway Yacht Charters and 1-800 Yacht Charters. Digital cameras are common on yachts. While at seas, crews use the cameras to take photos of mechanical issues, which can be downloaded and emailed to a shore-based engineer for analysis. With the recent unveiling of the Apple iPhone 4S, digital camera makers have much to be worried about. Apple’s newest phone has an impressive 8-megapixel camera that takes in more light than earlier models and records HD video at 1080p. Until recently, such impressive specs were unique to digital cameras. Increasingly, smartphones are taking over the low-end camera market. Captain Peter Vasquez and his 118-foot motoryacht ISLAND TIME are regulars on the Bahama yacht charters circuit. Vasquez points out the appeal of one device that can perform multiple tasks. “Camera functions are being taken over by smartphones,” says Vasquez. From the largest yachts like Steven Spielberg owned 282′ motor yacht SEVEN SEAS, to the newest yachts like 2011 motor yacht NUMPTIA, popular video game systems such as the Nintendo Wii, Sony PlayStation® and Microsoft Xbox are installed in many of the staterooms for the use of onboard guests. “We’ve already witnessed the emergence of an iPad controlled boat app on motor yacht HUNTRESS,” says Sheeder. Tired of spending layovers in an airport? Yahoo! now offers an app for iPhone users that lets you create custom itineraries based on your location and amount of time you have to spend. Yahoo! 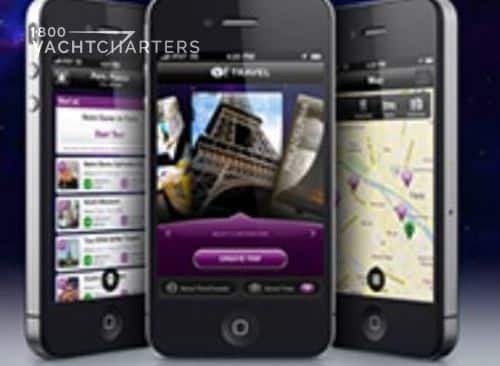 TimeTraveler™ creates on-the-fly time-based itineraries with a selection of popular points of interest. You are on your way to enjoy a Virgin Islands yacht charter vacation. The flight from New York is delayed for 4 hours for mechanical issues. Just open the app and type in your location. Yahoo! TimeTraveler™ will show you what you can see and do around The Big Apple in 4 hours. With just a few clicks, Yahoo! TimeTraveler™ helps you find the most popular places. You save the info for easy access while on the go. You can also publish your itinerary online to share with friends and family. We’ve all done it. You race off of a flight to get to the baggage claim area and stake out a spot near the carousel door. Your heart rate climbs as you wait…and wait…and wait for your luggage to pop out through the conveyor belt doors and onto the carousel. Wasn’t the whole point of taking a Caribbean yacht charter vacation was to leave the stress of the real world behind? Yet here you are, hours from boarding your crewed catamaran charter vessel in the Virgin Islands, and your eyes are glued to the carousel at Cyril E. King airport in St. Thomas. You watch the bags of other passengers go by, with your bag nowhere in sight. Fortunately, the Easy2Pick Wireless Luggage Finder System and the L.E.D. IT BE Easy2Pick Luggage Finder can make it easy and stress-free to quickly locate your bags upon arrival. The Easy2Pick Wireless Luggage Finder System has two parts – a luggage tag (transmitter) and a remote receiver. It beeps and flashes a red light when your bag is within 100 feet. The L.E.D. IT BE Easy2Pick Luggage Finder, on the other hand, uses 4 LED lights that flash only after your luggage has arrived. 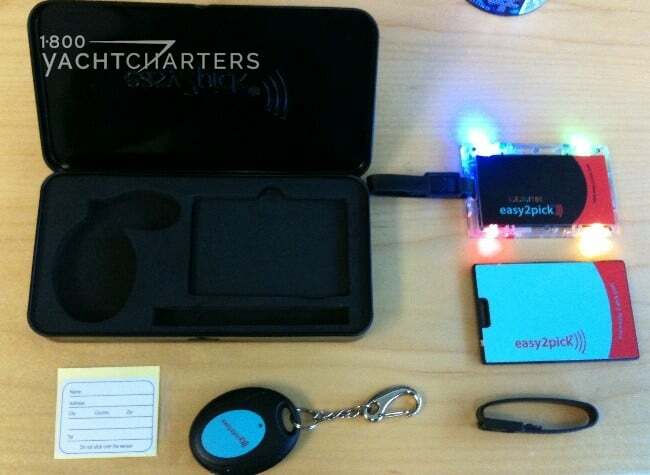 The flashing LED tag has a photo electric sensor that senses when your tagged luggage is in the cargo of the plane. It measures factors such as light, altitude, and noise. You get up to 16 different combinations of colors with the 4 LED’s, so you can set the color of the flashing lights to your own preferences. The suggested MSRP for Easy2Pick is $24.95 for one tag and is available on Amazon. 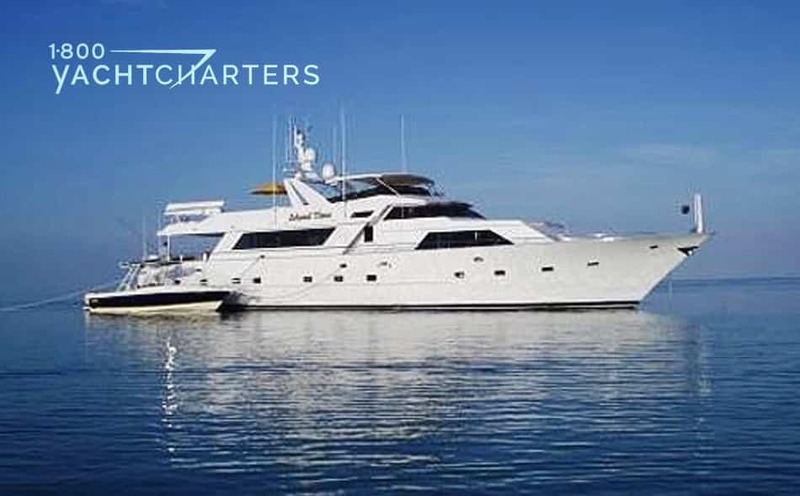 Reserve your next luxury yacht charter with 1-800 Yacht Charters, and we’ll send you an Easy2Pick Wireless Luggage Finder, with our compliments. Charters must take place prior to December 31, 2012. 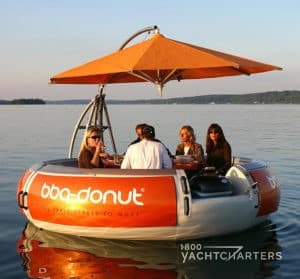 Yacht charter guests — keep an eye out for a new watertoy that’s sure to be seen on luxury yacht charter vessels in the future. Have you always wanted to ride on the back of a sea turtle? Do you dream of skindiving and holding onto a manta ray who glides you through the water? As exciting and dreamy as those images seem, they equate to harrassing marine life. Flying underwater, then, has to be done without marine creatures. The solution? Norwegian inventor Simon Sivertsen’s Subwing! Designed with two hydrodynamic wings that join in the center with a swivel made of rubber and steel, the Subwing’s “arms” pivot independently of one another. “Flyers” can ride the Subwing by holding onto rubber grips at the front of the wings or by grasping a rubber grab loop in the rear. Heavy-duty Dyneema fiber ropes attached to the top surface of both wings connect to your yacht charter tender tow rope. Ready, set, FLY! Riders can steer the Subwing up, down, left, or right, and they can perform spins, simply by angling or twisting the wings. The Subwing is only recommended for use by skin divers (without scuba tanks). This is because sudden depth changes and compressed air don’t mix. Scuba tanks are also heavy and create a lot of drag for the tow boat. Boats towing “subwingers” only travel at two knots. The Subwing is available in three versions. The fiberglass model sells for US $700, the carbon fiber matte model sells for $850, and the carbon gloss model will set you back $895. 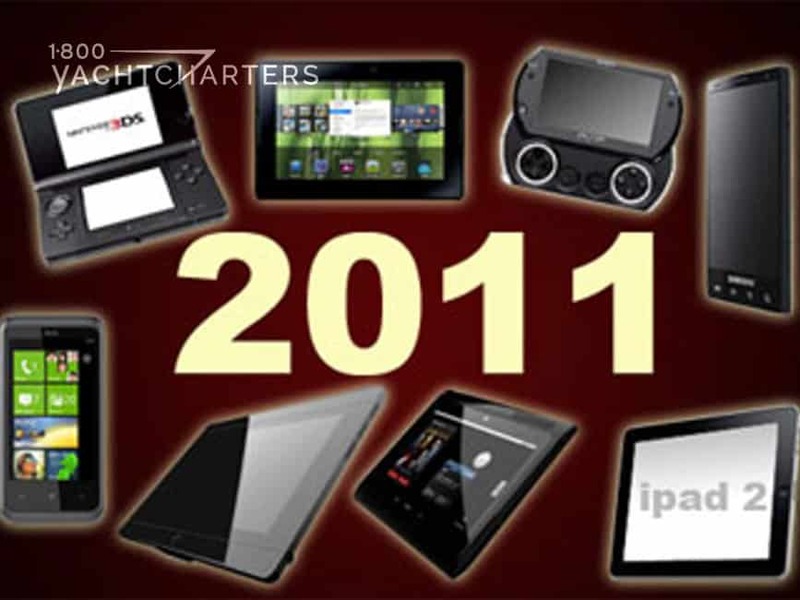 The 2012 Consumer Electronics Show (CES), the largest consumer technology tradeshow in the world, is underway. Last year, we fell in love with the Kodak PlaySport Video Camera. This year, it’s a new Sony Walkman Sports MP3 Player that has us excited. 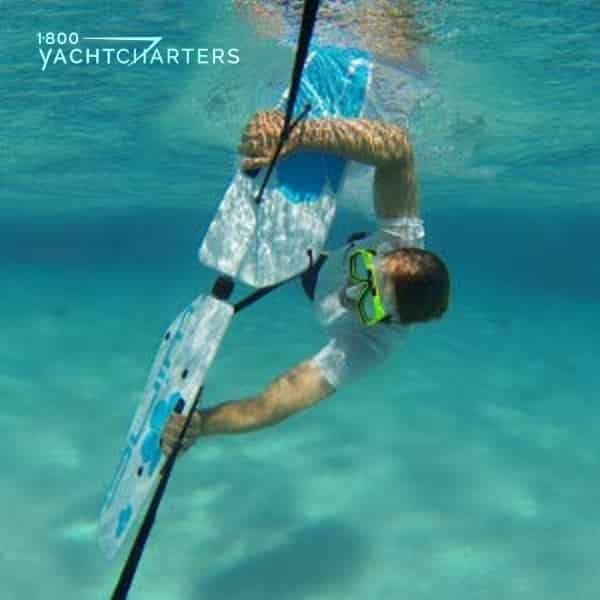 It’s WATERPROOF, which makes it the perfect companion for a Virgin Islands yacht charter vacation, AND it combines a pair of earbuds with the MP3 player in a single unit – with no external device required to play tunes! Yes, it does look like a pair of large earbuds, but the two boxes on the sides actually house the entire MP3 player. The two earbuds are also held together with a tension band that wraps around the back of the wearer’s head. Controls on the bottom of each side adjust the volume, plus skip/pause/play songs. You can download up to 4GB of your favorite tunes, and enjoy up to 8 hours of playtime on a full charge. 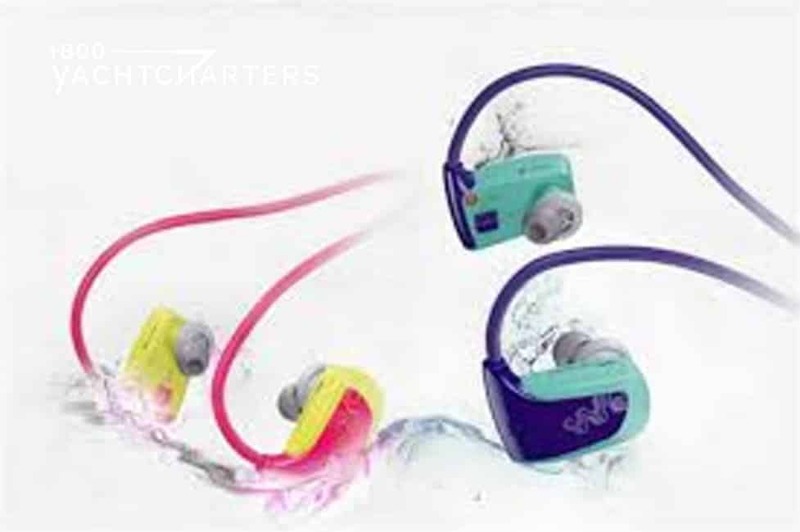 Sony claims the earbuds will produce exceptional audio – even while underwater! A famed Hollywood filmmaker has bested an equally famous celebrity explorer as well as an underdog submariner in a race to be the first explorer of the ocean deadliest trench in half a century. 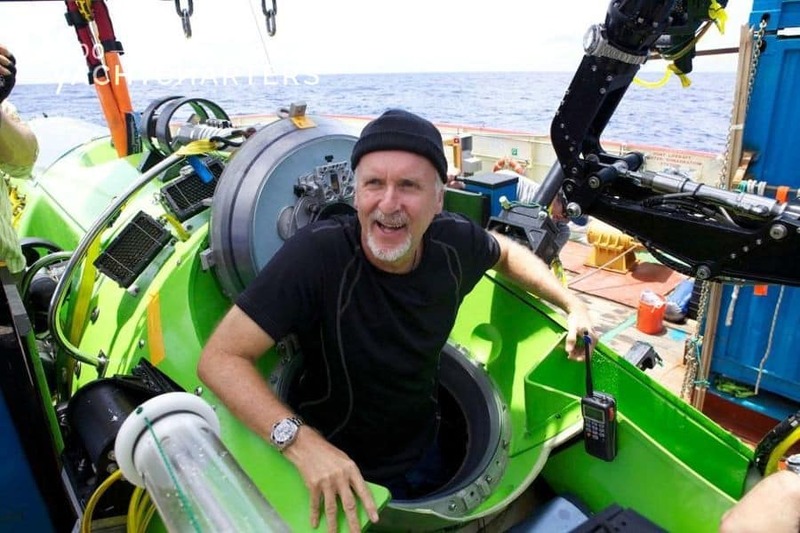 James Cameron plunged about seven miles to the bottom of the Mariana Trench in the western Pacific ocean, where temperatures near freezing and the bone-crushing pressure is one thousand times greater than that at sea level. In January, we profiled the epic attempt by three teams of modern-day explorers to reach the ocean’s deepest point – the first attempt in over 50 years. Cameron, the director of Avatar, Titanic and The Abyss, was up against British entrepreneur Sir Richard Branson, owner of the 32 meter (111 foot) luxury yacht charter vessel NECKER BELLE. The third team was headed by Patrick Lahey. Lahey and his team, Triton Submarines, were heavy underdogs to their wealthy competitors. Speaking after the dive, Cameron described the ocean bottom as a “completely alien world” – similar to the surface of the moon. It was a “very lunar, very desolate place. Very isolated,” Cameron said. Jana Sheeder, President of 1-800 Yacht Charters weighs in on this epic challenge. She believes in accomplishing bucket list items while on yacht charter. 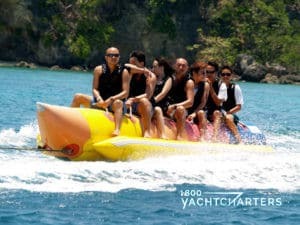 Plan your own adventure aboard Bahama yacht charters motor yacht MINE GAMES is one of the first charter vessels to carry an onboard submarine as part of the yacht’s watertoy inventory. 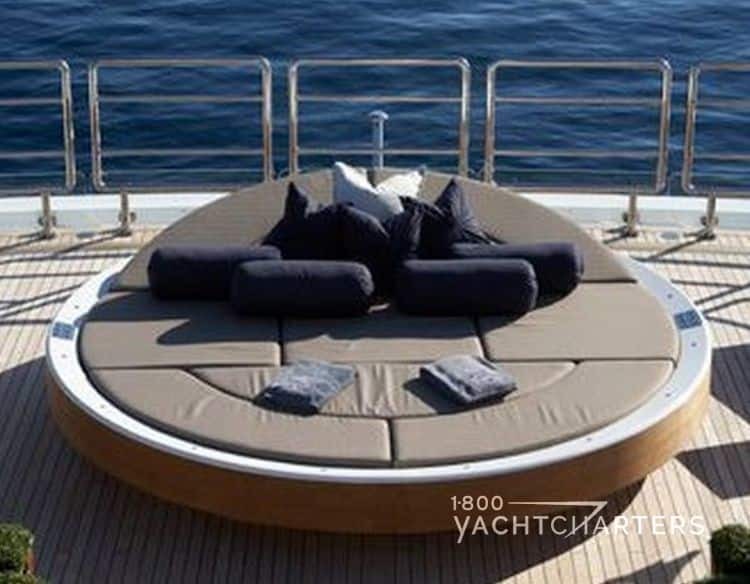 Contact 1-800 Yacht Charters at https://www.1800yachtcharters.com/book-now-contact-us/ to schedule your luxury yacht charter.